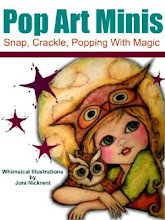 Pop Art Minis: New and Fairy Magical Finds in my Pop Art Minis Zazzle Store! 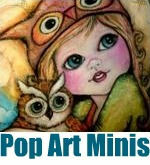 New and Fairy Magical Finds in my Pop Art Minis Zazzle Store! It's been a while since I a posted a what's going on in my Pop Art Minis Zazzle Store update, but was excited to share these new fun, fantastical and fairy magical sterling silver plate necklaces that I just added! If you or someone you know needs a dash of magic for a special occasion (birthday, Christmas or just fairy good friends day) you might want to take a closer peek! 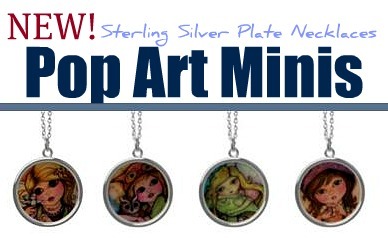 And if you see a design that you'd like to have as a necklace email me and I'll be sure to add it too! Who knows you might just find a perfect little present for that special someone...or maybe that special someone might just be YOU! A sweet and delicate buttons, wonderful.